hosting a book fair at Chicago Public Safety Headquarters. book to take home with them. WHAT: The Chicago Police Department, in collaboration with Hope Community Church, is hosting a Gun Turn Event. During this event, community members will receive a $100 gift card in exchange for every gun turned in and a $10 gift card for each BB-gun, air-gun, or replica firearm – No questions asked! 10:00 a.m. until 2:00 p.m.
WHO: Chicago Police Department personnel, Hope Community Church members, volunteers, and community members. Ledarius Johnson was arrested in connection to a criminal sexual abuse that occurred on March 28, 2016 in the 2600 Block of W. Chicago Avenue at approximately 8:00 p.m. Johnson approached a 47-year-old female and pushed her to the ground and sexually abused her. his wallet which contained various IDs and credit cards. 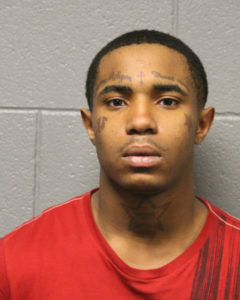 The victim later discovered that his stolen credit cards had been used to purchase fare cards at a CTA Ventra Machine. The above pictured individuals are being sought in connection to this crime. Two or Three black males, 45-55 years of age, various heights and weights. One of the offenders usually conceals their identity by wearing a surgical mask over their face. The offenders usually carry a clothing/garment bag to conceal the pick from other citizens and from the victim as the pick occurred. On March 18th, 2016 at approx. 3:35 pm, the male captured in the above pictures produced a handgun and robbed a victim inside of her garage on the 2000 block of North Kenmore Ave. The offender was described as a white male, 5’05-5’06,160-170lbs, with a fair complexion. The offender was seen driving the grey vehicle in the top picture on the right, believed to be a 2016 Volkswagen Jetta with an Uber X sticker on the lower, right side of the back window. The pictured offenders are wanted in connection with Burglaries occurring in the 018th District (Near North) throughout January and February. During these crimes the male offender broke a window to a business and took money from the cash register. The female offender acted as a lookout. 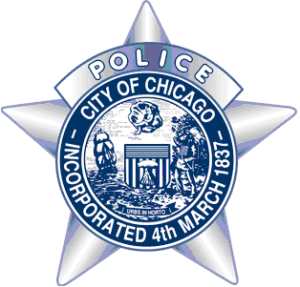 Incidents have occurred along North and Milwaukee Avenues mainly between the hours of 12:00 A.M. and 5:00 A.M.